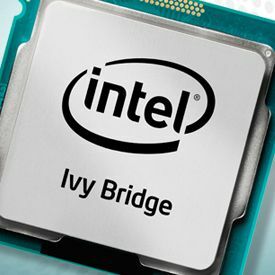 As requested by some readers in the Intel Ivy Bridge HD Graphics 4000 GPU: OpenGL and OpenCL Tests article, here some additional tests of the HD Graphics 4000, the GPU embedded in the Ivy Bridge processor. 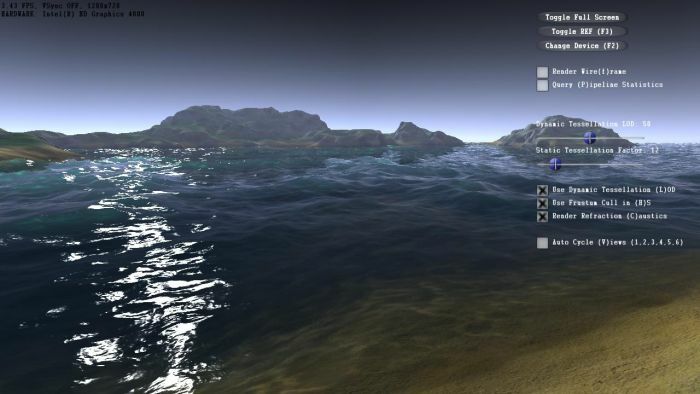 Island is a Direct3D 11 tessellation-focused tech-demo released for the GeForce GTX 480 / GTX 470. 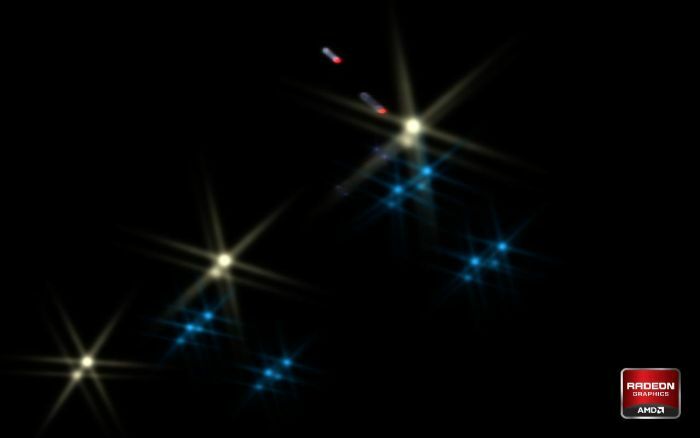 This demo runs at around 3 FPS on the HD 4000. 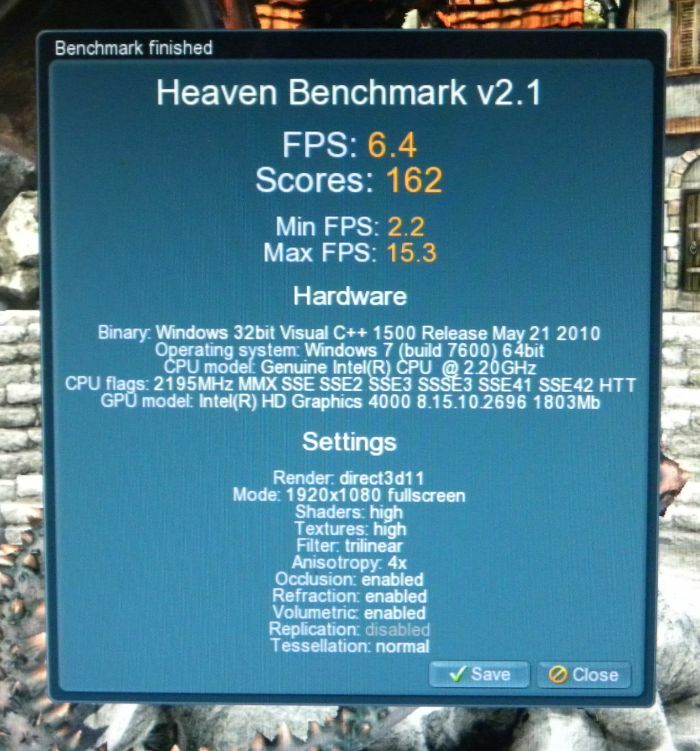 I tested Heaven 2.1 with default settings. Common maths test: works fine. 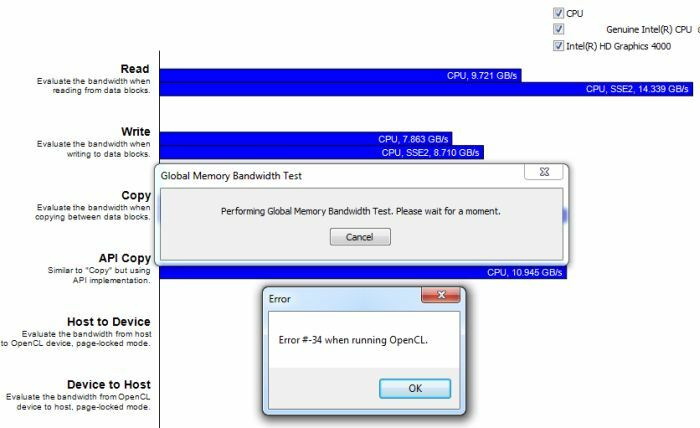 Global memory test: does not work. 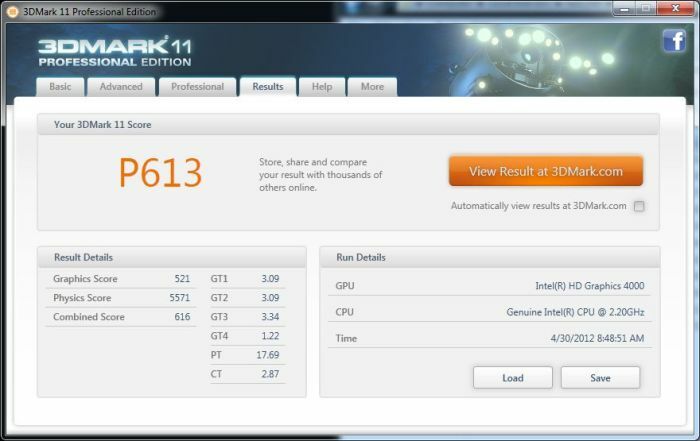 hmmm…..Not bad for a CPU to perform that well. 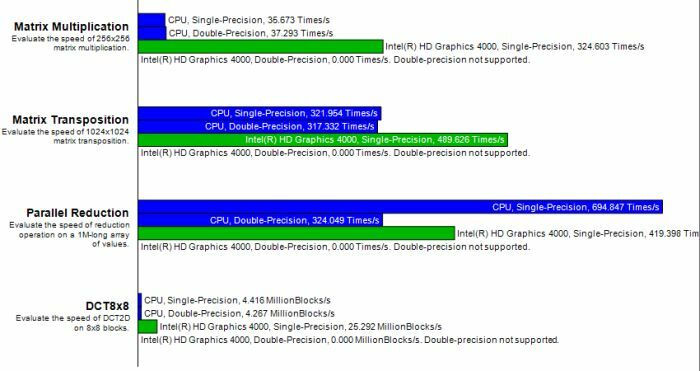 I mean look at the numbers…Intel still has a chance to beat up others. 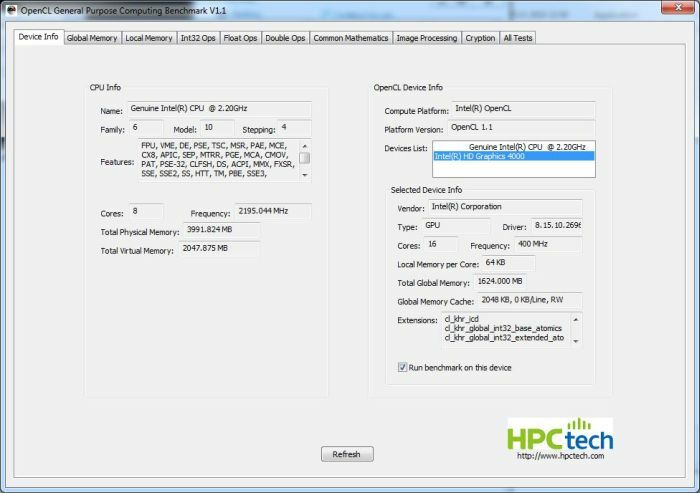 On semiaccurate there’s a good HD4000 overclock analysis ( http://semiaccurate.com/2012/04/23/overclocking-intels-hd-4000/ ) But it seems they didn’t overclock the memory – and the memory controller too – so it’s impossible to tell how the GPU performance depend on memory bandwith and latency. 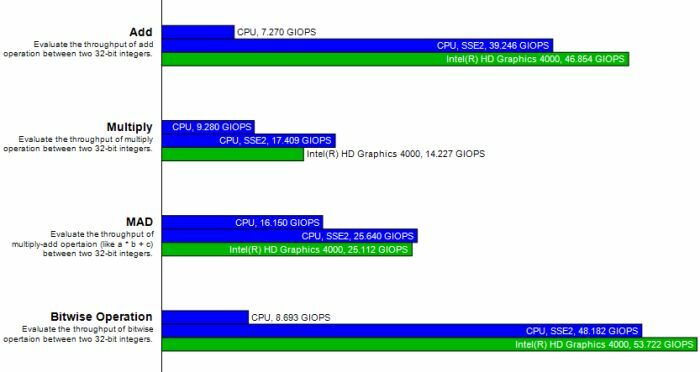 Can you run ATI “Leo” Demo and 5900 OIT demo on IVB? 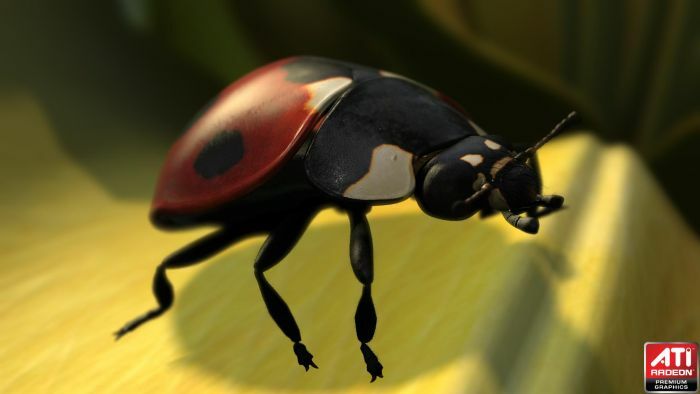 Check opengl on 2729 drivers for Windows 8!